Snorkeling Glover's Reef was one of the highlights on our snorkel tour of Belize. 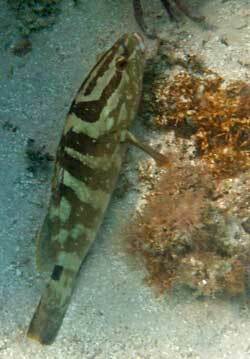 It is not easy to get to, but as you will see in the underwater pictures we took below, we loved it. Glover's is a circular atoll reef that is very shallow within, and outside the ocean drops away quickly to over two thousand feet. 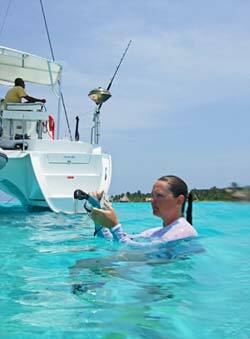 The maximum depth within the atoll is around 50 feet, with most areas being much less. 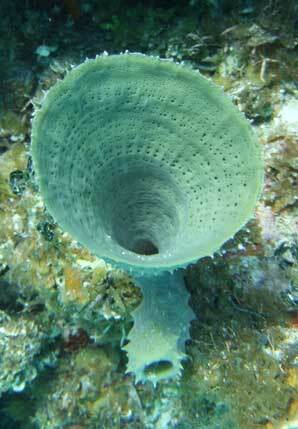 And what makes it a snorkeler's heaven is that there are about 800 patch reefs within the atoll. 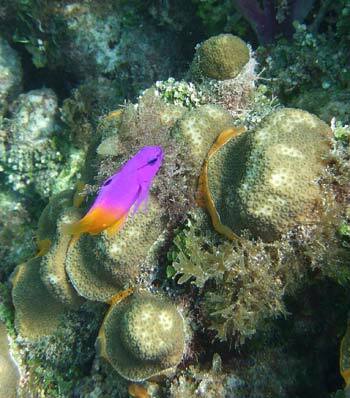 Glover's Reef Atoll is considered the most remote of the three major atolls off the coast of Belize. While Lighthouse Reef may be the farthest out, Glover's is farther away from more populated areas and has less traffic venturing out to it. This atoll is also a World Heritage Site (which means it is listed by the International World Heritage Programme of UNESCO, and can receive funding and special protections). 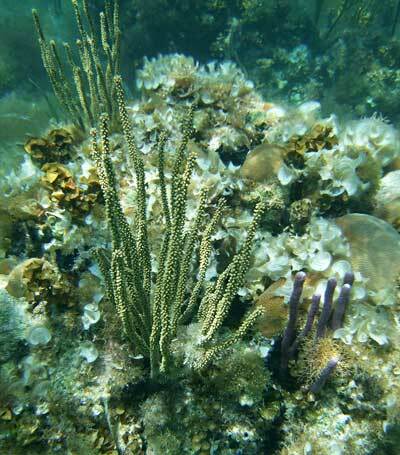 It is also a Marine Reserve of Belize. 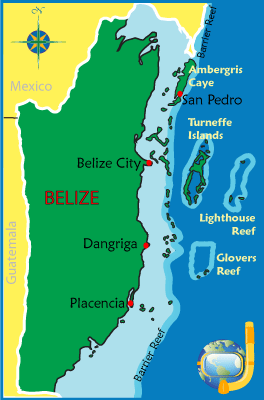 Most people who visit Glover's Reef tend to stay at one of the little resorts or camping locations on a few different cayes. 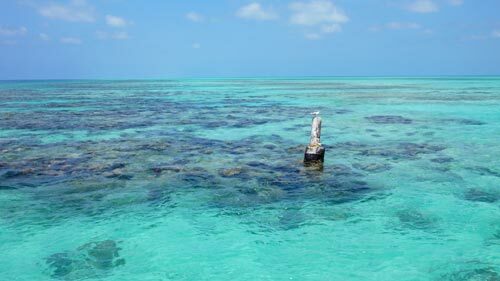 We were fortunate to charter a sailing catamaran out of Ambergris Caye, and made a point to sail out to Glover's for a few days of snorkeling. 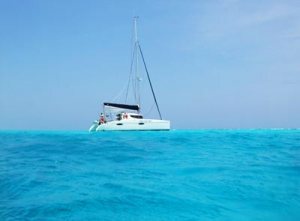 We have a partner who is offering a liveaboard boat snorkeling trip that visits both Glover's Reef and Turneffe Atolls. 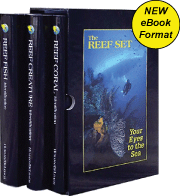 This is a nice option for getting out to these remote reefs. While there, we stopped in at the Glover's Atoll Resort on Northeast Caye (pictured below) and had a nice walk around the small palm filled island. 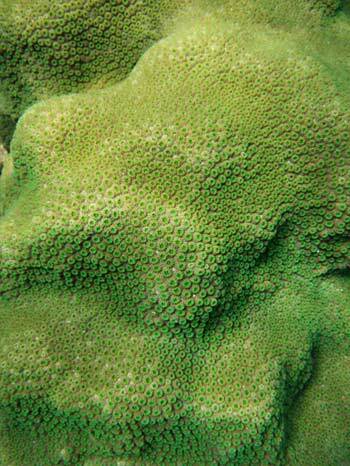 Snorkeling Glover's Reef - What's It Like? 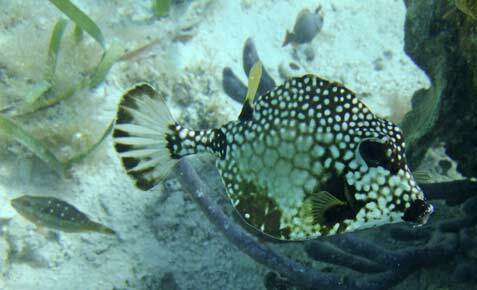 We snorkeled both the outside of the west edge of the atoll, and a handful of patch reefs inside. And it was all fantastic. 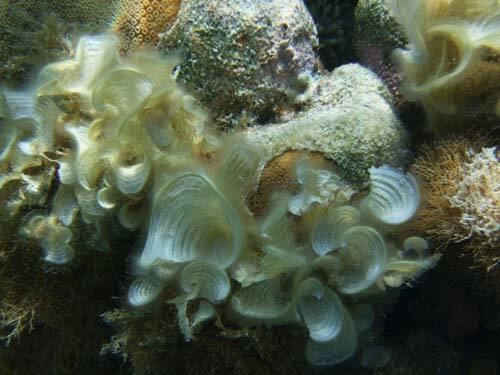 The waters within are almost always calm because of the protection of the reef. We were anchored in twenty and thirty knot winds, and the waves did not pick up much. 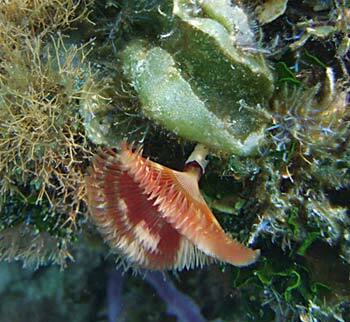 The reef is particularly healthy here. 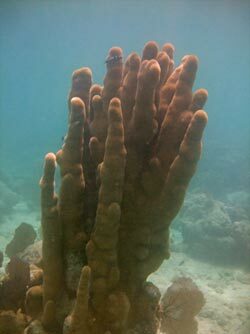 There is an abundance of fish life, healthy corals of types you don't see commonly elsewhere (like Pillar Coral), tons of interesting shapes and colors of sponges, and lots of alga. 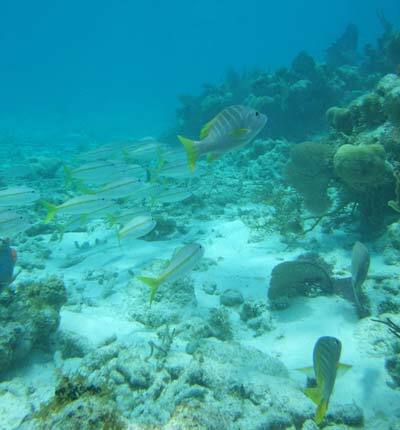 The picture below is of the very narrow and shallow reef cut on the west side called Swash Channel. We snorkeled the stunning waters outside of the reef here, and then very carefully made our way in the boat through this tiny and shallow cut in the reef, with lots of current, to the inside of the atoll. 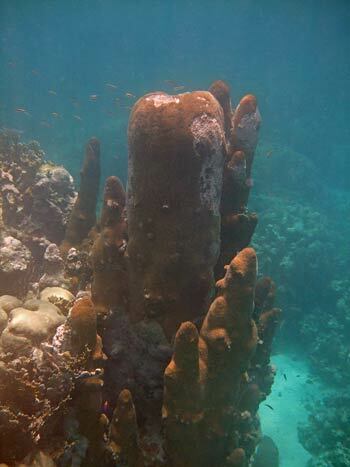 One of the interesting things we got to see on the outside of the atoll when snorkeling Glover's Reef was the large Pillar Coral you can see below. 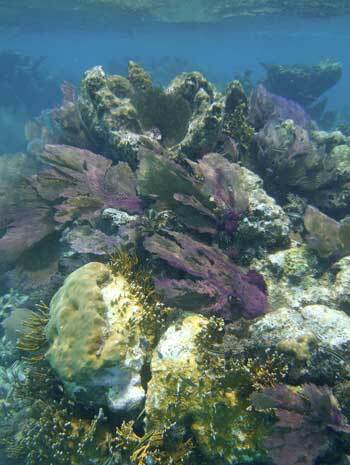 So enjoy some more pictures from the different patch reefs we snorkeled around Glover's Reef. 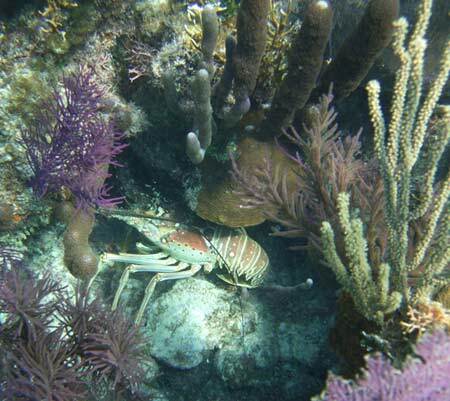 In the first picture we found a huge Caribbean Spiny Lobster hiding under a small coral ledge, followed by a couple of fish shots. 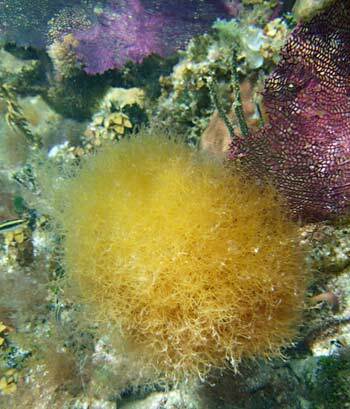 We found a lot of beautiful algae, corals, sponges and other sea life. It was very dense. 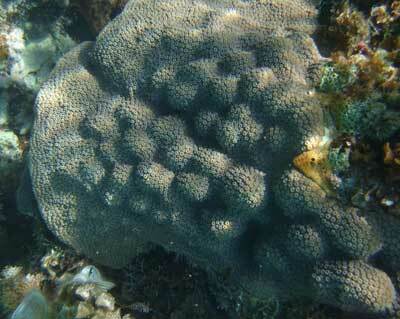 We found some nice star corals in different areas. And here are just a few more pictures. 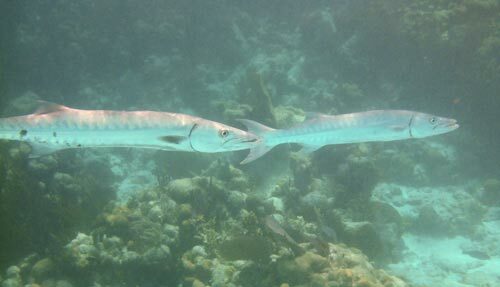 There were good fish numbers in most areas including huge schools of Blue Tang, and lots of Barracuda hanging out. 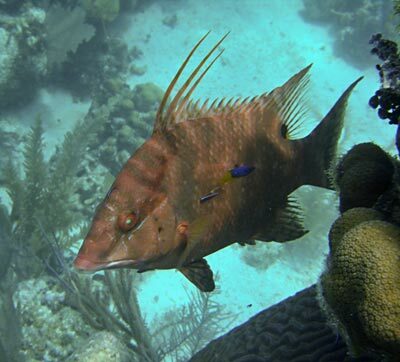 So if you have the chance to get out and do some Glover's Reef snorkeling, it is very easy to recommend, and we would definitely go back. You could spend weeks snorkeling here easy.